Two huge, long-term commitments in my life came to a sudden conclusion on the same day a little over a week ago. 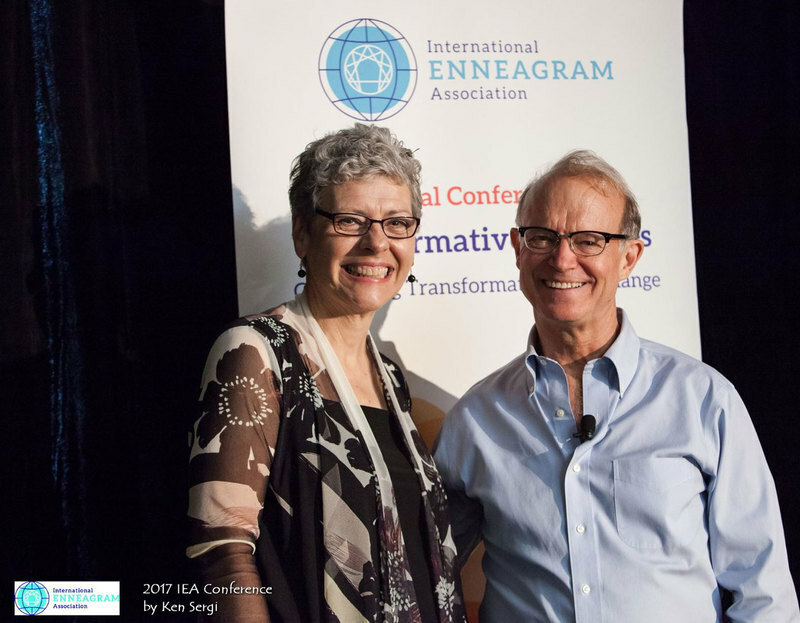 First, my workshop season was brought to a close with a presentation I gave at the Global Conference of the International Enneagram Association in San Antonio – which, by the way, was a fabulous event. And after five years of writing, I finally carried my new book, Radical Wholeness, over the finish line. Coincidentally, I emailed off the final changes to the book while I was at the airport on my way home from the Conference! Suddenly, the necessity of finishing it, which has compelled me for so long, and which I’ve embraced with the whole of my being – suddenly it’s disappeared, and in the wake of all that, I find myself in a bit of a daze. A daze of gratitude, coupled with a deep need to just rest. But of course, even as those projects have come to a gratifying conclusion, other wonderful adventures await. Foremost among them are two Facilitators’ Trainings starting up as summer winds down: one in Ohio in September, and one in Ireland in October. Each Training takes place over a year and includes three five-day sessions and lots of exercises and discussions in between. It’s during these events that my work really blossoms into its fullest dimensions. Wonderful things happen when a group of committed, questing individuals comes together to discover, each in their own way, what it means to soften out of divisions and self-consciousness and into the larger harmony of their being. It’s an unforgettable year of support, adventure, and self-discovery for participants, propelled by practical, experiential means of refreshing their perceptions and experience by loosening the fetters of cultural habit. The premise of the Training is that you can’t teach the work unless you can model it. Not everyone in the training is interested in teaching it; but everyone there is determined to undo the prohibitions against experiencing their wholeness, and is open to having fun along the way. If you’d like to know more about either Training, you can check out the Ohio Training here and the one in Ireland here. And if your interest grows as you hear more and you’d like to ask me about it directly, please don’t hesitate to send me an email. Just hit ‘Reply’. In a culture as broken and fragmented as ours, this book is painfully overdue. Going beyond outdated notions of “holistic,” Philip Shepherd has captured the essence of individual embodiment and its inextricable connection with everyone and everything. What our world desperately needs now are not more smart homo sapiens, but fully present and embodied holo sapiens who feel and live in grounded inter-relatedness. In this book, Shepherd has provided us with an extraordinary tool kit that tenderly and skilfully integrates mind, body, and soul with all life in the universe. If you long to reconnect with your deeper self, other living beings, and the Earth, you must read this book. Myth associates a deliberate forgetfulness of the whole with the tyrant, whose quest for independence is a desire to cut away from the whole. It associates a deliberate remembrance of the whole with the hero, whose self-achieved submission is a path of reconciliation with the whole. The hero doesn’t merely acknowledge the whole, or face it—he chooses to submit to it. Because our whole-blindness leads us to confuse the roles of tyrant and hero, this voluntary submission may seem odd. The essence of the hero as our culture sees him is that he never submits. But notice that Campbell’s phrasing describes him as a man of self-achieved submission. This is not submission to tyranny, force, or to any set of circumstances designed to bend someone into submission. In fact, the hero doesn’t submit to force, because he has already more deeply submitted to What Is. Through his living accord with the felt Present he understands what it calls him to do; and what he is called to do initiates what we speak of as the hero’s task. The heroic submission to the Present sets up an alchemy within the self. When you submit to the Present as a felt whole—without flinching, without reservation and without needing it to be anything other than what it is—you will begin to feel its aliveness within you; and when you feel that aliveness from a place of deep stillness, you will feel a gentle tug that momentarily crystalizes your relationship to the world, and awakens the whole of your being to what is being asked of you. And then you face a choice: answer the summons or retreat from it. If you answer it, you are basically offering yourself as a lump of dough to the baker—to be kneaded that you might rise anew. And in that kneading, you will experience the breaking down of habits and the leavening chemistry of new possibilities, so that the world around you seems to change its aspect. And the hardships it throws in your path prod you to deepen into the truth of your wholeness, that you might forge in your nerveways a renewed relationship with being—a renewal that is ultimately not just for yourself, but for the benefit of the world. As we have discussed, the dark imaginings of our culture tell us that freedom is to be found in the ability to disconnect. But the mountain brook, the child collecting pebbles, the mother’s gaze all tell another story: disconnection is the opposite of freedom. Freedom opens to everything—it welcomes the world, and allows you to play with it and be guided by it in fulfilling the purpose to which, ultimately, it has called you. True freedom, then, is paradoxically made possible by submission—the hero’s submission to the whole; the submission that lets go of all the soul-baffling divisions we jealously guard, the crippling judgments we enforce, the cotton balls we hold within to stifle the resonance of our being. The freedom found by the hero is the freedom of fully liberating your life into the spacious Present. It’s the freedom you experience when no part of your being is held in check: the whole of it becomes available to the harmony of What Is, and expresses itself through your every response. It’s the freedom of discovering your partnership with the world. And whatever else that partnership asks of you, it always invites you yet more deeply into your wholeness. That is the freedom the world wants for you and calls from you and supports you in.